I’ve been busy working and watching the baby, and while I am still updating My Daily Food Diary 2, it’s been a looong time since I’ve posted an actual post for Chasing James Beard. 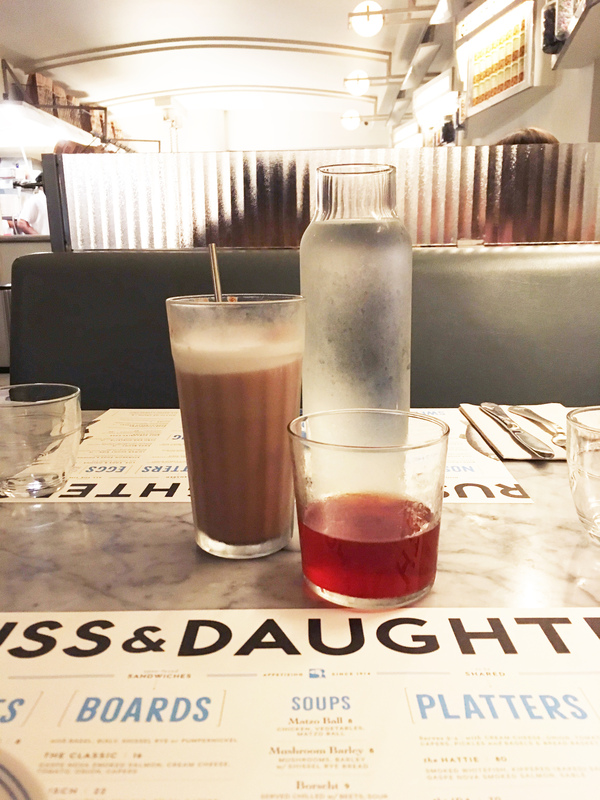 These pictures I found on my computer from Russ & Daughters’ Cafe have inspired me to type away though. I love this place. We went on a weeknight and it wasn’t crowded. The staff was wonderfully accommodating and the food beautifully presented and prepared. 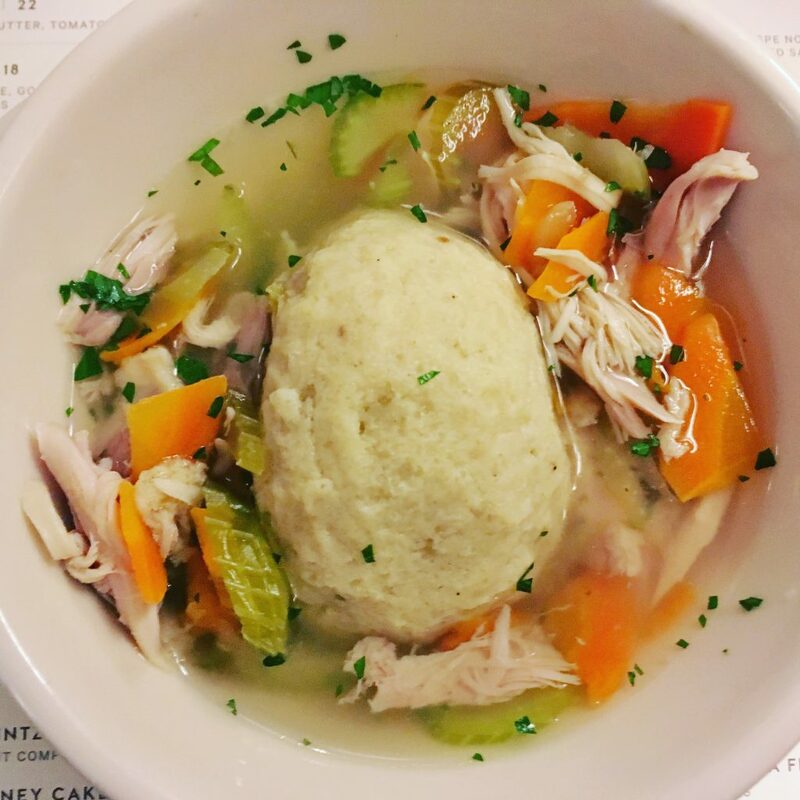 It’s all of the classics that you would expect from a Jewish deli, but elevated in a way that made it a nice night out still. I was pregnant when I went, so no alcohol for me. I opted for a chocolate egg cream. 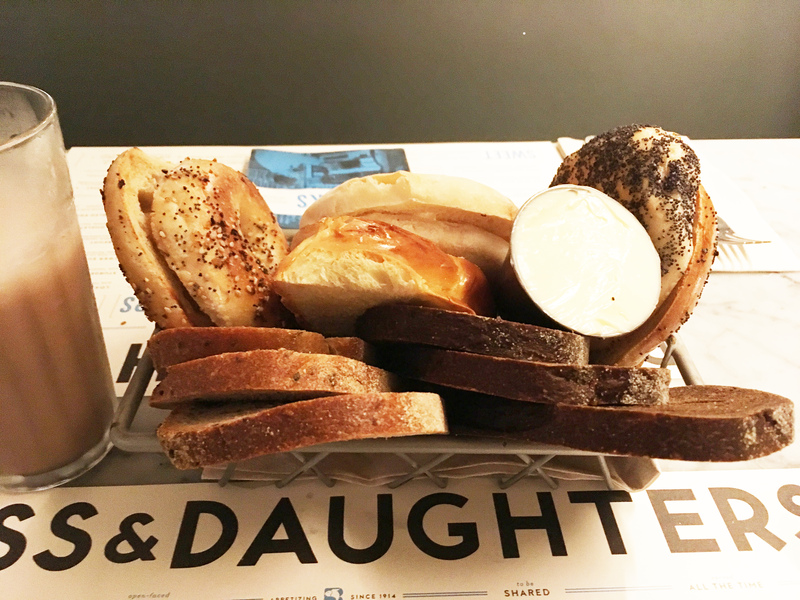 I got the Russ & Daughters Bagels & Bread Basket to start off with. Then onto a shared bowl of matzo ball soup. This was just my share. 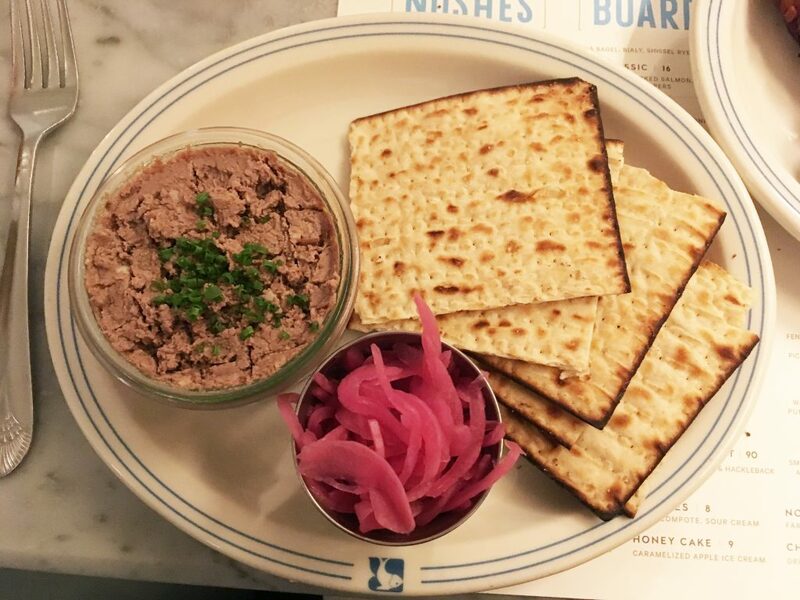 Next up, there was a tasty plated of chopped liver with matzo and pickled red onion. 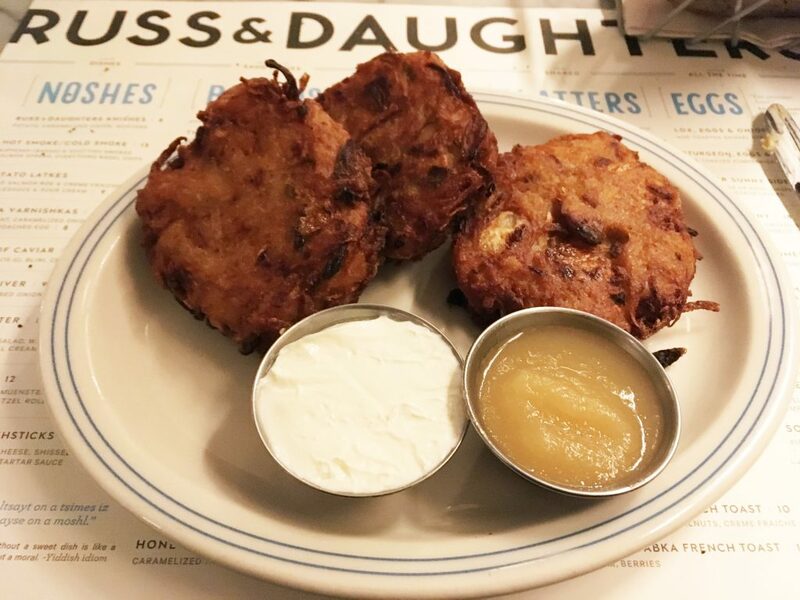 We also had some potato latkes. Dessert was an absolute must for me. 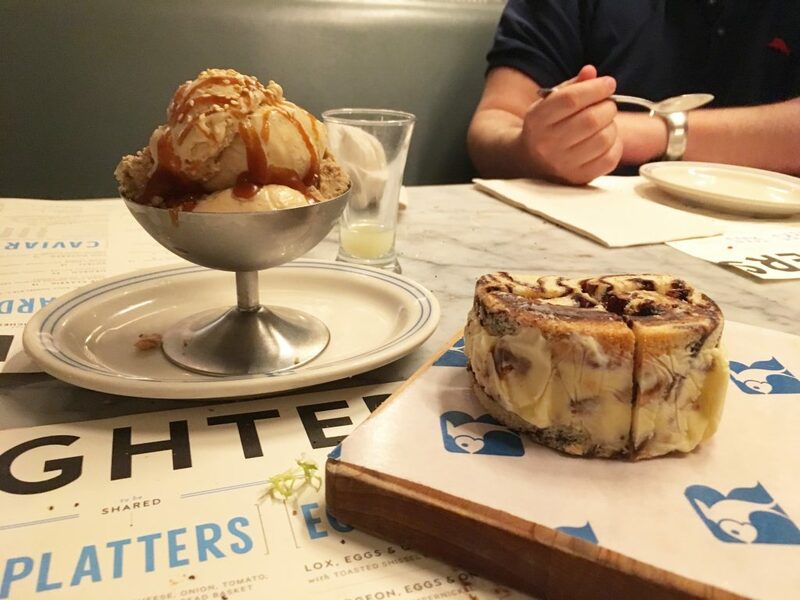 At the table, we shared Halvah ice cream and I think a chocolate babka.